I have already sent via Katharine Viner of The Guardian an informal invitation for you to be the keynote speaker at a public memorial event for my father, Lewis Blayse (formerly Lewin Blazevich). I wanted, however, to send a formal invitation to you to be the keynote speaker at the event. My father was a lifelong social justice and child protection activist and recent blogger on the Royal Commission into Institutional Responses to Child Sexual Abuse and associated matters at www.lewisblayse.net. 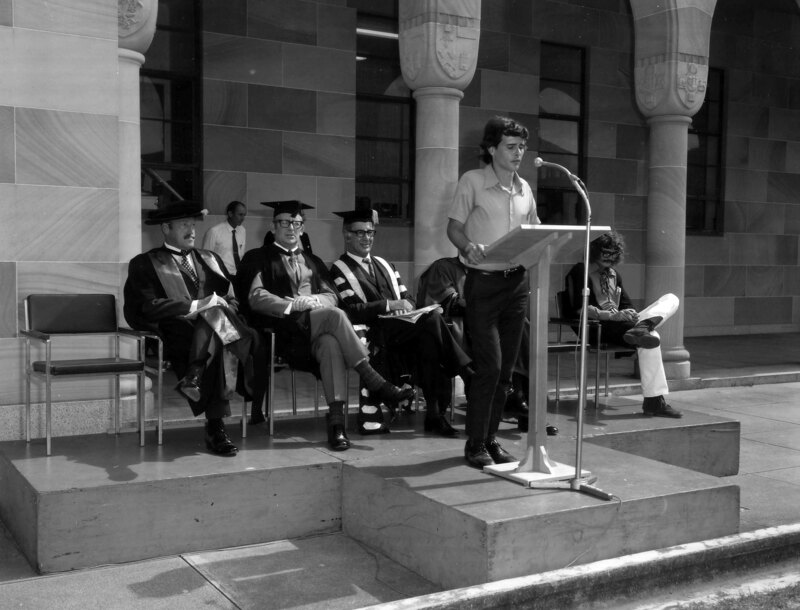 In addition to his child protection work, he was active throughout his life in areas as diverse as working to mandate seatbelts on school buses, securing better administrative treatment of welfare recipients, animal rights, women’s rights, rights for Indigenous people, anti-Vietnam war activism, activism against the Queensland ‘police state’ under the Joh regime, and many, many other areas. He died recently. The event at which I hope you will speak will be being held at the University of Queensland on 1 March, 2014, between 1pm and 4pm in the Alumni Court. The University will be flying the Australian flag at half-mast in honour of my father’s work in science and child protection and to mourn his passing. It is also hoped that my father will be posthumously awarded his PhD for his science dissertation at this event. While the event is essentially intended to be a celebration of my father’s life and an opportunity for the many people who had grown to love him for his insights and contributions to public debate about child protection to say goodbye to him, I hope for the event to be much more than that. Most importantly, I believe it is vital that the country does not forget that it was you who set up the Royal Commission. People such as my father had been calling for one for more than twenty years; you finally delivered when others had not. The Commission has been in operation for a little over a year, and I think that at this point it is timely for the country not just to be reminded of your important legacy, but also to hear from you about how you feel things are going and perhaps for you to make a few comments about what you hope to see from the Commission in the years to come. Of course, the other significance of the Commission is that it is a world first, and I feel that in that regard you should also be acknowledged and thanked. In coming years, I hope that other countries will follow your suit with their own versions of Royal Commissions, and again, I think it is appropriate that there be continued acknowledgement of your role when other countries do this and have their own equivalents of your Royal Commission. I will not go into too much detail about the order of events and other details at this stage, except to say that you would be the keynote speaker. I would introduce you in any way you wished. There will be a few other speakers. Confirmed speakers to date are John and Nicola Ellis (John was the plaintiff associated with what is now called the ‘Ellis Defence’), noted legal academic, Judy Courtin, and Nicky Davis, a representative of the group SNAP Australia. I will make a few brief comments, and I am also hoping to announce at the event that I have secured funding from a philanthropic source to enable me to continue my father’s blog by writing daily on matters associated with the Royal Commission and child protection generally. I hope with all my heart that you will agree to speak at my father’s memorial so that the thousands of people who are finally able to tell their stories may thank you. I very much look forward to receiving your positive reply. Wonderful news that the Blog will continue and I hope that Gillard will accept the invitation.